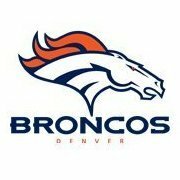 Broncos Trade Von Miller to Packers for 3.75 this year and a 2020 First. Ford gives us a versatile big bodied athletic mauler who had an outstanding year for Okalahoma. I believe Jonah Williams, Jawaan Taylor, Greg Little, and Dalton Risner go before this pick which is why Ford is still available. He replaces Leary at LG immediately. Tillery would give us a player who can get after the QB but also shut down the run at Five Tech. Gotsis isn’t much of a pass rusher and not sure how much longer Wolfe will be here so it would be a good idea to invest in the position here. Tillery slips here due to the depth at the position in this draft. Thornhill is a stud. He plays like a corner but has the size and tackling ability of a safety. He would be a great replacement for Stewart in our secondary. In a deep draft class I think Samuel could fall here. Metcalf, Both Browns, Harry, Harmon, Butler, Johnson, Campbell, Ridley I could all see going before Samuel. That would be great for us as he is a dynamic player who never had great QB play. He can play outside or in the slot. Smith is a pass rushing Tasmanian devil. He is small for a 3-4 OLB but he can be a hybrid between ILB and outside pass rush specialist providing us with more depth at multiple positions. He was an animal and super productive. He would be great for our LBer group. 4.107 Tytus Howard OT Alabama St. Extremely athletic Tackle prospect with a lot of length. Could develop into a good swing tackle with potential to be more. Well worth a pick here. Level of competition is a concern. Mack was a five star prospect who hadn’t put it all together until his senior year. He is quick off the snap and very disruptive. Great value here in the fourth if this past year is showing an upward trend. Even with signing Darby and Nelson we could always use another young CB to develop. Yiadom is a start but Langley isn’t anything special. Long had a good year but it was Not great length and is still a bit raw and could have used another year but would be a great get here. He had a good year for Michigan. I like JT. He has a live arm and has good feet in the pocket. Good developmental pick here and will be third QB behind Keenum and Taylor. I think 2020 is when we get our QB with two firsts now but well worth it to develop JT as a possible gem. Tackling machine worth a pick here to see what he can bring to the ILB group. Better Junior year but was coming off of an injury. Potential to be a solid depth player here available this late. Has some real receiving ability. Might be a good sleeper for our tight end group. Seems like alot of wishful thinking in FA. Guys like Darby and James are getting north of 10M per IMO. Also, if were going to spend that much in FA, we are trying to win games. If we are trying to win games, we shouldnt deal Von Miller. Few quips with the FA's, outside my opinion that your underpaying some of them: I dont think we spend $$$ on a slot guy. The FO loves Hamilton (For better or worse, he hasnt shown much IMO) and will do all they can to hand him the slot spot. Same goes to Yiadom. He will be given every chance to win CB3, IMO we wont spend $$$ on two FA CB's. Unless one is a minimum salary one year vet type signing. The draft is decent, but I want a QB in R1. If Daniel Jones isnt there at 1.10, I trade up for him. I dont think Gotsis needs replacing as long as we have rotational pass rush specialist behind him, so not a huge fan of 34DE in R2, especially one that IMO wont be the BPA. Same goes for Thornhill. I think Parks needs a chance to start at SS, and like the idea of giving our young, cheap safety rotation of Simmons / Parks / Cravens / Thomas all the snaps in 2019. Cant comment much on the later round guys, outside Ta'amu who I love as a middle round development guy. Just have to realize that middle round QB's have like a 80%+ bust rate. He cant been relied on as anything other than a hail mary type pick, and we still will desperatley need a QB in 2020. I also commend the effort this early - before Senior Bowl & Combine (not just the testing, but the interviews, and of course, the failed drug tests and off-field dramas lol), it's really hard to project a draft. I've watched a fair amount of RB/WR/QB for fantasy draft purposes, but the actual draft is a huge crapshoot at this stage. I will echo the statement that the FA salaries are way too low. In particular, our re-signs seem to be wishful thinking for Paradis & Barrett, who are UFA's. The market rate for top 5 C is about 3M more per year. As for Barrett, he's not taking a discount to stay with DEN - he's already said he wants to start, and that's not happening with us, so I think have to mock him as gone. I could see Harris sign for 3/15M (8-10M is the going rate for 0-tech NT's, while Harris can do more, getting the security of 15/3 seems very possible since he's only a RFA), and Heurmann re-signed cheaply. The others are RFA's or ERFA's, so no problem in locking them up. For FA's, Darby's 10M seems very low, given the top CB's got 12.5 - 14M per year last year, and Darby's even younger than they were at age 25. I'd also say I don't think we're paying to get a slot guy, if we are doing anything, it's to get another outside WR. Hamilton's really a slot-only guy, so it's redundant to get Humphries. I do think James at 10M is about right for RT, same with Nelson given his performance. Take out Humphries & Barrett, but keep their $, and I think you are close. It also means for the same $ spent, we're still thin in key areas, but that's our team for 2019, and why I see us 2 years away from contention with Keenum as our QB (as several of those holes could be masked with a good QB, but we're not getting one with a 2020 impact unless we hit in the draft, which seems unlikely, more a developmental guy now ready to do that in 2021, or we hit the 2020 draft hard). Re: draft, far too early to comment on anything but Rd1-2 - I do love Ford at the 20's (not in the 1.10 range though). I think we should aim to do better than a 1st/3rd from GB if we are dealing Von, though. If anything, if we are going that route, then I'd look to trade Von after the draft - when teams are more desperate to find EDGE help (and the teams who can ID early EDGE help aren't trading with us before the draft anyways). Legitimate question, why would Denver even consider moving Von Miller anything short of a Khalil Mack-esqe package? They wouldnt. And getting Vic as the HC makes it even less likely, albeit it was never likely, that he is dealt.